Called by Leeds Unite Against Fascism and Leeds Stand Up to Racism. The theme of this years Holocaust Memorial Day is ‘Don’t Stand By’. We see all over the world that people are trying to help refugees who are fleeing war. 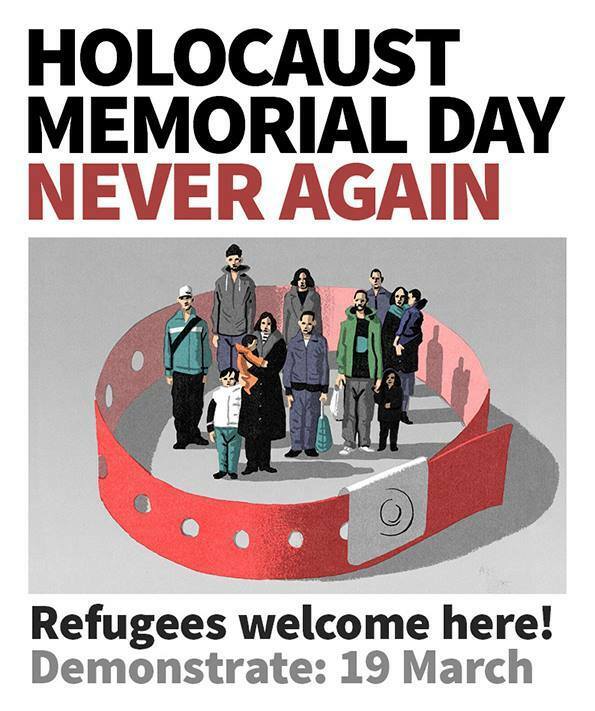 We want to remember the victims of the past and help the victims of the present. Please bring candles for the vigil – and we will be collecting money for Stand Up to Racism to take to the refugees in Calais – Don’t Stand By! Don’t Let them Freeze!